Our September volunteer event will be at the Japanese Cultural and Community Center of Northern California’s Tabemasho (Let’s Eat!) annual fundraiseron Saturday, September 19, 2015. Volunteers are needed from 2-8:30pm. 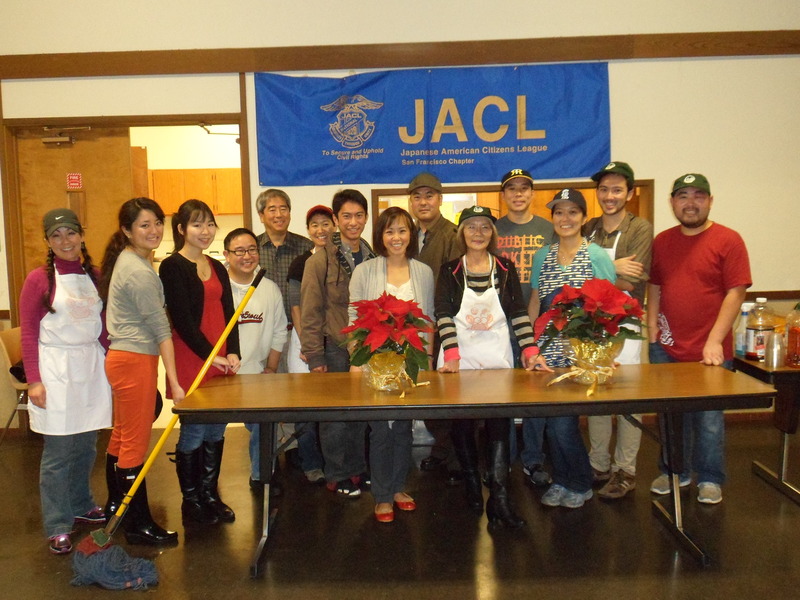 The JCCCNC is one of Nakayoshi’s biggest community supporters, and offers great cultural and recreational classes and activities throughout the year for the entire community, so let’s do our part in helping out! 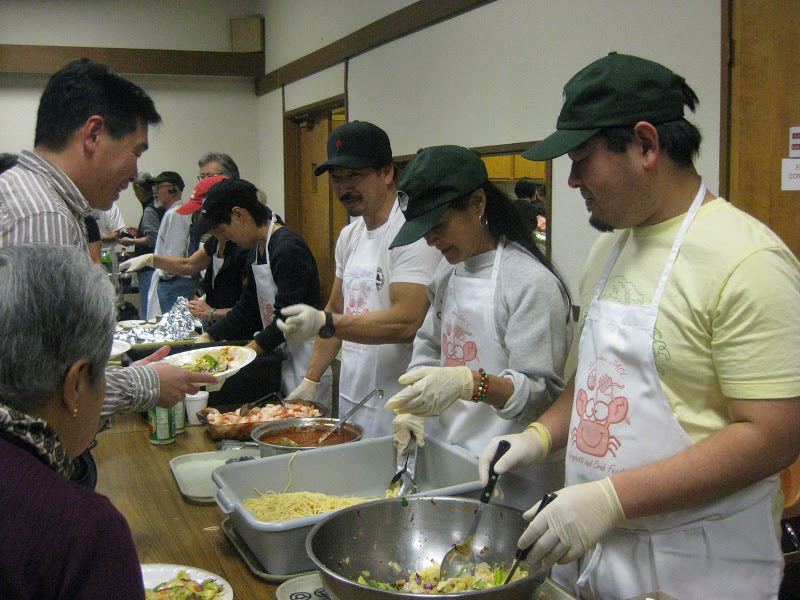 Past Nakayoshi volunteer assignments at the event have included serving food and bartending. The Tabemasho event is attended by over 400 guests and will need help in many different areas. If you are unable to stay for the entire timeframe, please indicate what times you are available. Unless specified by the JCCCNC’s volunteer coordinator, dress code will be a white collared shirt and black slacks. 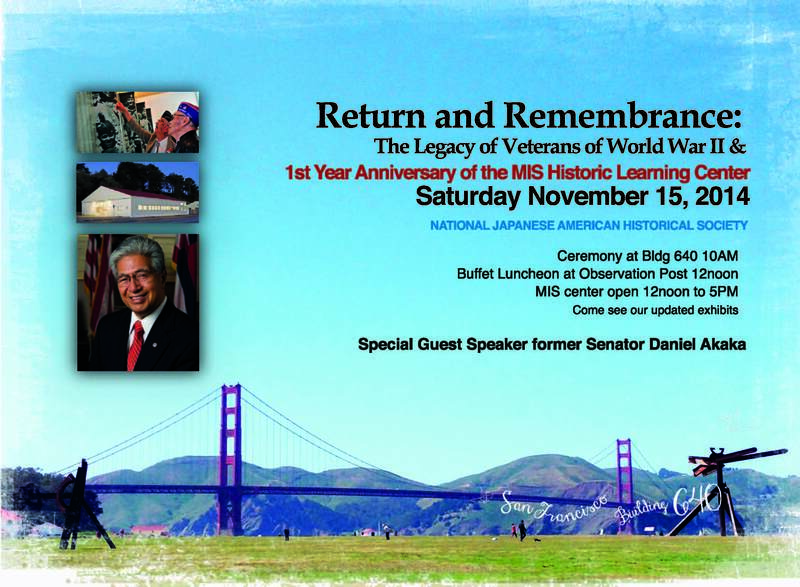 Join us and help us honor Japanese American veterans at our November volunteer event on Saturday, November 15, 2014! Veteran’s Day is around the corner, and Nakayoshi salutes our Japanese American Veterans with our November Volunteer Event, helping the Japanese American Historical Society (NJAHS) at their Return and Remembrance: The Legacy of Veterans of World War II and 1st Year Anniversary of the MIS Historic Learning Center in the SF Presidio. The event will have an opening ceremony followed by a luncheon for ticketed guests featuring guest speaker former Hawaii Senator Daniel Akaka. Opened 1 year ago, the MIS Historic Learning Center is in the renovated Building 640, the actual site where secretly recruited enlisted Japanese American soldiers were trained as military linguists for the Military Intelligence Service (MIS) during WWII. Volunteers are encouraged to check out the rest of the exhibits before or after their shifts. The MIS Historic Learning Center will be open to the public from noon-5pm. A volunteer skilled in A/V tech to help with microphones/PA sound system and powerpoint projection needed during morning shift, e-mail haruka.roudebush@gmail.com if available. Help us honor our veterans and check out the exhibits at the MIS Historic Learning Center! See you there! It’s that time of year again Yep the Nihonmachi Street Festival is the first weekend of August (2nd and 3rd). 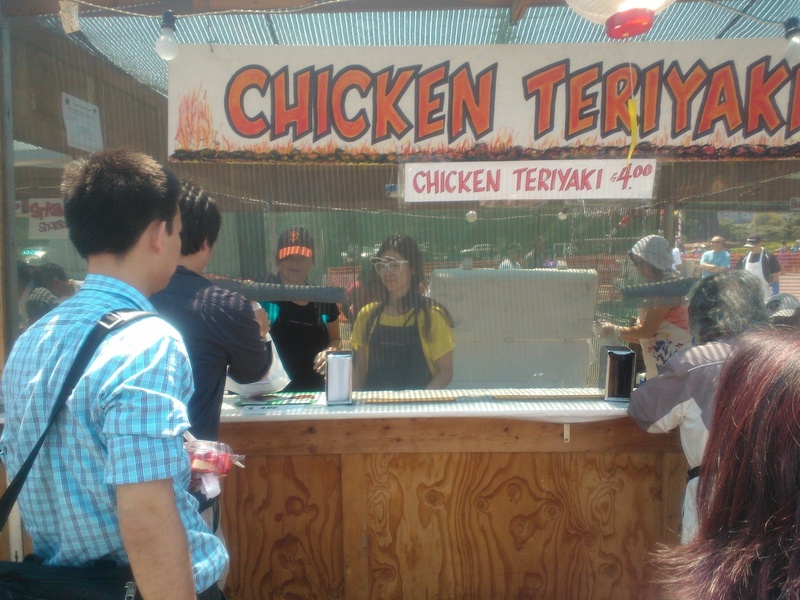 Nakayoshi has been running a food booth for several years now. Once again we will be serving hot udon & cold somen. However this year you may also purchase a scoop of curry (my favorite!) to go with your noodles. This is our largest fundraiser for the year and need all the assistance we can get for another successful run. 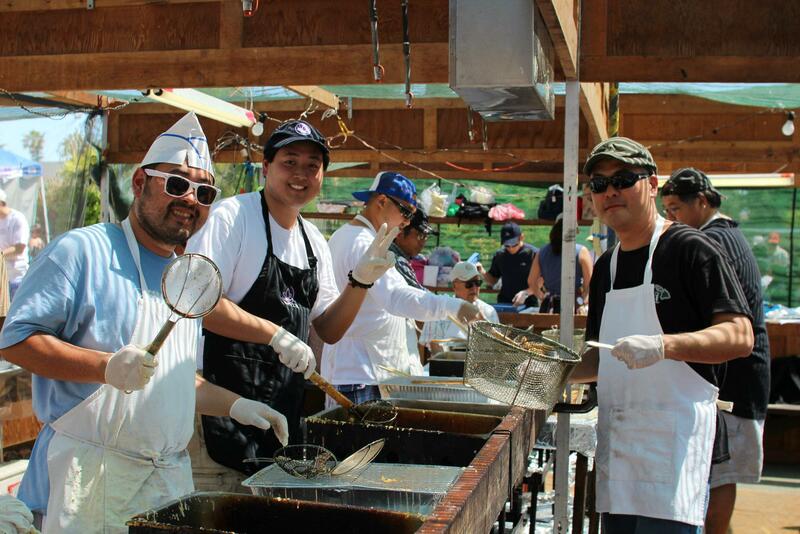 We will need assistance in preparing and selling udon & somen for both days. Sure it’s lots of work, but we always have a fun time working together and raising money for the organization. We have two volunteer shifts: 8am-2pm and 12pm-7pm both days. Please note you don’t have to stay for a whole shift as we’re happy with any help you might be able to provide. As in past years we are having a volunteer orientation to go over food preparation and training. It will be held at Haruka’s house on Friday, July 25 at 7:30pm. It’s optional but highly recommended to familiarize yourselves with our udon & somen and also our preparation steps. Sign-ups for the volunteer orientation and booth shifts are on our Google spreadsheet here: http://goo.gl/0Vymth Please remember to bring hats/hairnets and aprons to your shift. Email us at nakayoshi.ncwnp[at]gmail.com with any questions. Hope to see you all at our booth at the festival. Some pictures from last year! 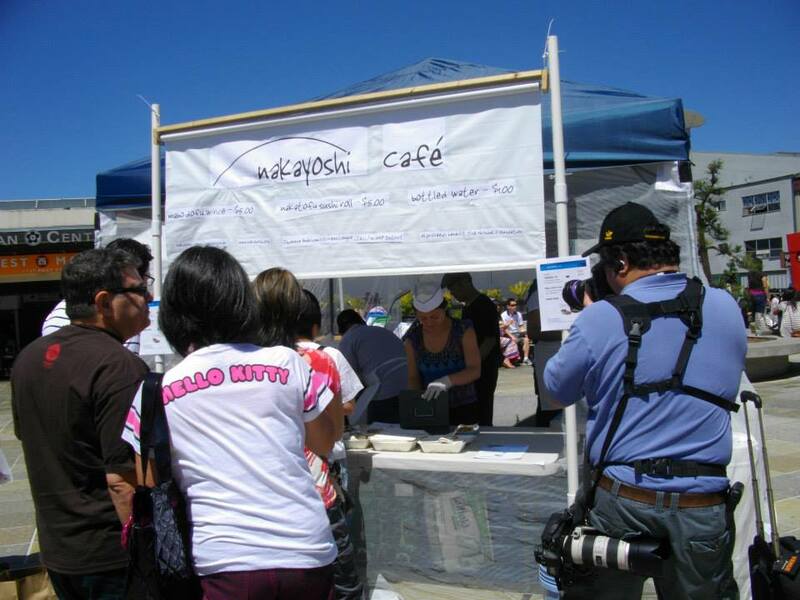 The “Nakayoshi Café” is coming back for the Annual Soy & Tofu Festival on Saturday, June 7th in San Francisco’s Japantown (Peace Plaza, Post at Buchanan Streets) to help fundraise for the NichiBei Foundation, publishers of the NichiBei Weekly Japanese American newspaper that will receive 100% of all our proceeds. 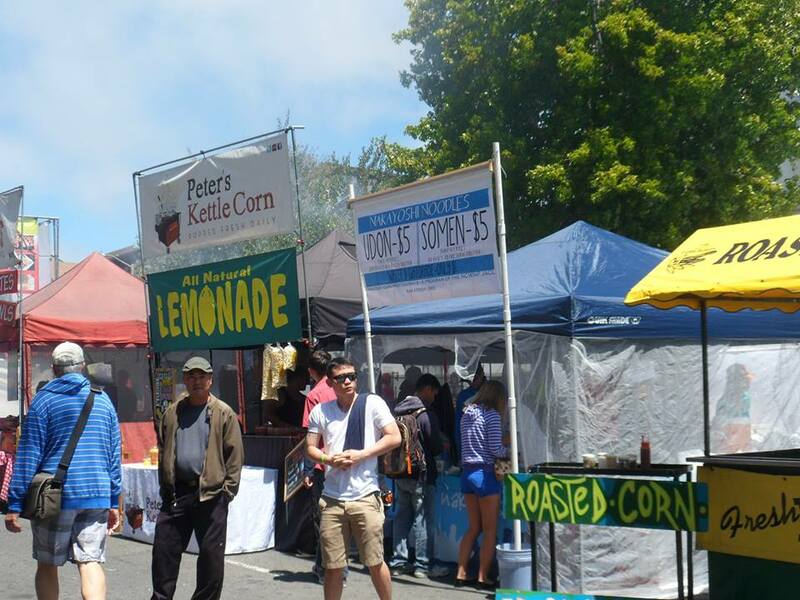 The festival will run from 11 a.m.- 5 p.m., but volunteers are needed to help from 8:30 a.m. until 6 p.m. in the kitchen at Konko Church (1909 Bush Street, SF 94115) and/or with selling at our booth. Please sign up for shifts here. *We kindly ask that all volunteers come prepared with the following: Apron, gloves, closed-toed shoes, long hair tied back, hair-net/hat, and look fab sporting your Nakayoshi T’s! Don’t miss this opportunity to serve in our community together and give back to a great cause. Visit our event’s Facebook page to notify us of your plans. For those unable to volunteer, invite family and friends to try our delicious tofu-filled dishes. For more information, contact Erika Shimizu at eks003[@]msn.com. Thanks, and we hope you can make it! Volunteer at this year’s Annual Day of Remembrance! Nationwide, Day of Remembrance (DOR) has been commemorated on or near February 19th when President Franklin Delano Roosevelt signed Executive Order 9066 in 1942, enforcing the exclusion, eviction, and incarceration of 120,000 persons of Japanese ancestry, both citizens and immigrants. It has become a time for diverse communities to stand together to carry the light for justice and reaffirm a unified commitment to civil and human rights. 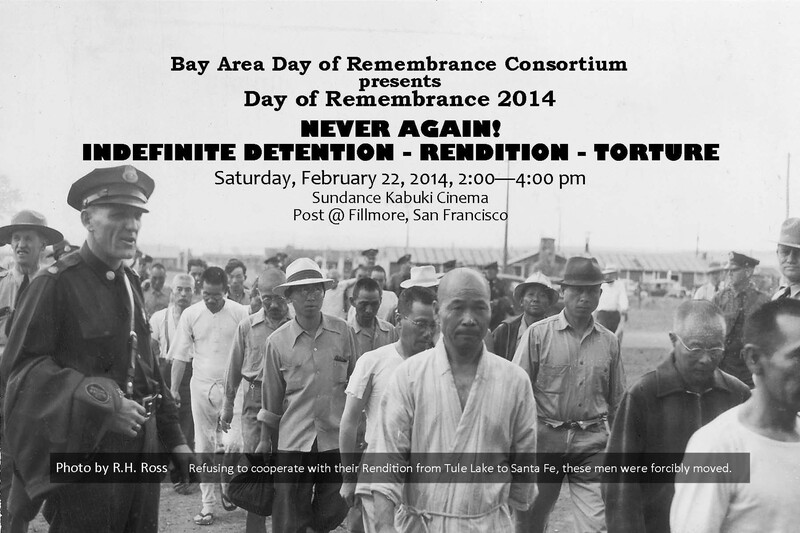 Nakayoshi Young Professionals will be volunteering for the Annual Bay Area Day of Remembrance on Saturday, February 22nd at the Sundance Kabuki Cinemas (1881 Post. st.) in SF’s Japan Town. The main event is from 2-4 p.m., but we’ll be helping out prior, during, and after the program. The first shift starts at 11 a.m., and the second shift is from 1 to 6:30 p.m. Sign up for shifts here: http://goo.gl/w3dZ1P. *Business casual attire is suggested. *Additional opportunities: If you’re available the day after, New People Cinemas in SF is in need of volunteers who can help clean between shows at the Films of Remembrance screenings on Sunday, February 23rd. Check out the event Facebook page, and for further inquiries, contact Erika Shimizu at eks003[@]msn.com. 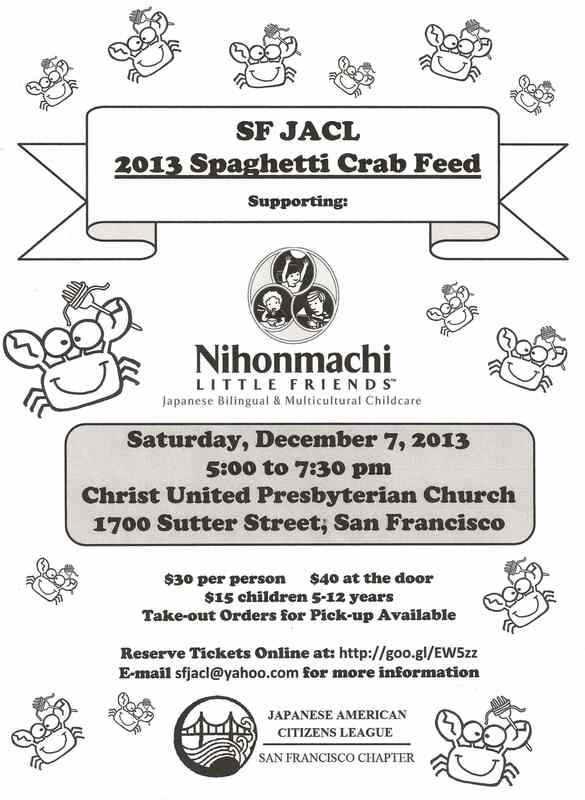 Join us as we help out the San Francisco JACL chapter at their annual spaghetti crab feed benefit dinner, Saturday December 7, 2013 in SF Japantown! 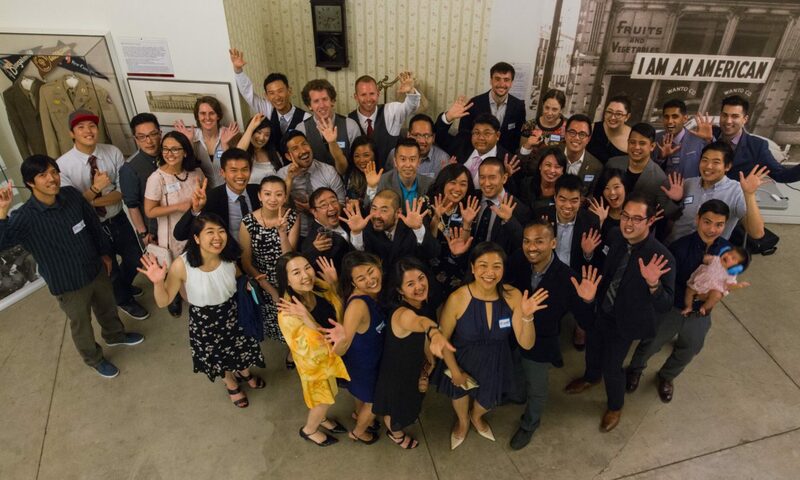 Proceeds from this year’s dinner will go to support Nihonmachi Little Friends, a Japantown bilingual and multicultural preschool and child care organization. St. Anthony Foundation provides over 3,000 people with food, clothing, recovery help for their drug and alcohol addictions, and medical care. To date, more than 37 million meals have been served. Exciting News! 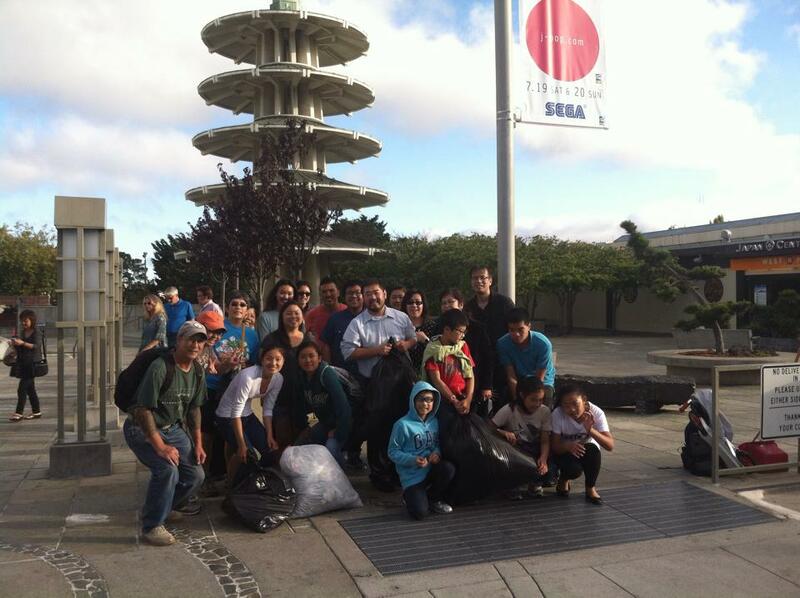 On Sunday, November 10th, Nakayoshi Young Professionals will be volunteering at St. Anthony Foundation (150 Golden Gate Ave., SF 94102 -between Jones and Leavenworth st.) from 9-2 p.m.
After a brief orientation at 9:15 a.m., we will join staff and other volunteers to serve approximately 2,600 lunches to the homeless and those living in poverty. At some point, we’ll have our lunch break. Then we’ll depart at 1:45 p.m.
*There is limited space availability, so be the first 10 to join this event and secure a spot! If you have any questions, you can reach event co-ordinator Erika Shimizu directly at eks003[@]msn.com. Check out the event’s Facebook page at https://www.facebook.com/events/550071095064566/. We hope that you will participate in this empowering and educational opportunity with us! 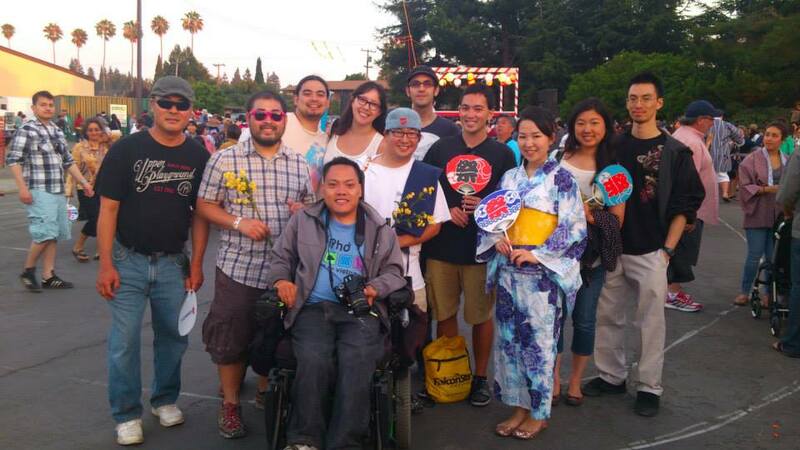 Volunteer event recap: Volunteering at the Mountain View Obon Festival and Bazaar! 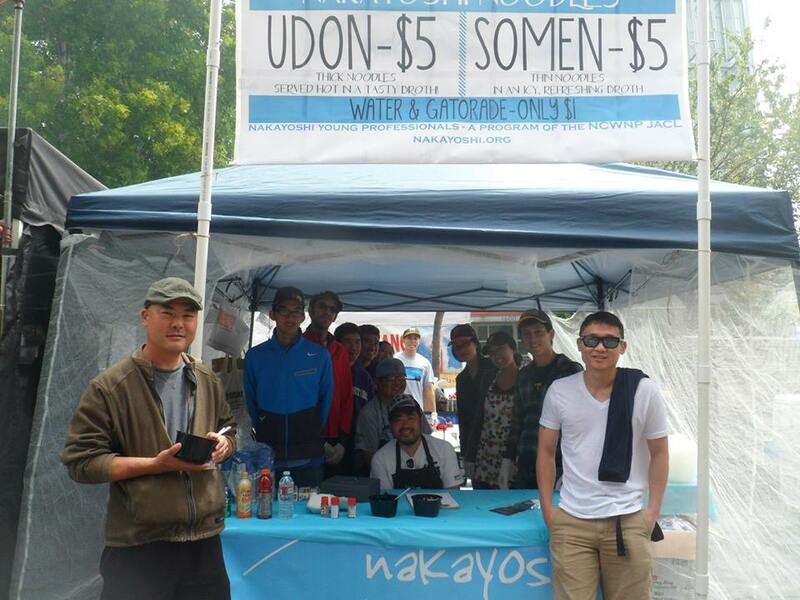 On Sunday, July 21st, Nakayoshi Young Professionals volunteered at the Mountain View Obon Festival and Bazaar. 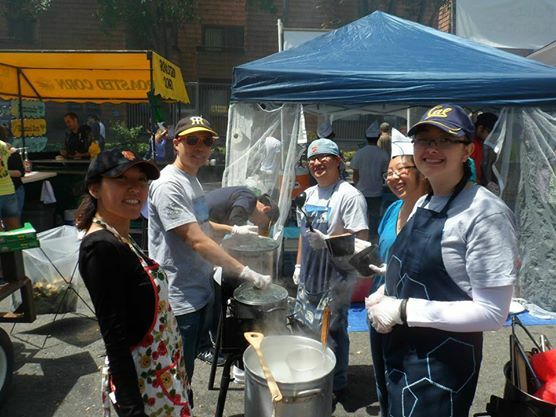 Volunteers assisted with making Udon, Tempura, and with selling Chicken Teriyaki until it was sold out at separate booths. After volunteering, we had an opportunity to explore the rest of the festival and experience all that was in store. Some of us played a couple rounds at the game booths, and even won prizes. We also ate a variety of delicious foods from the booths. That evening, we participated in dancing the Bon Odori, which was spectacular and loads of fun. Thanks so much to all our volunteers as well as those who joined in the festivities that late afternoon.